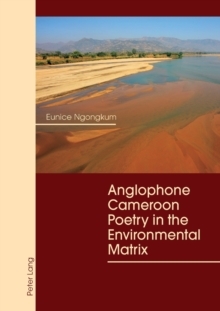 This book explores contemporary Anglophone Cameroon poetry's engagement with the environment through an eco-textual analysis of a cross section of poems from different poets. In this regard, the work broadens the field of ecocriticism beyond the original Anglo-American axis by developing a more locally-rooted in ecocriticism while making a valuable addition to the growing field of African ecocriticism. It spotlights environmental degradation, the inextricable relationship between nature and culture as well as the intersection between history, politics, ethics and the environment in the Anglophone Cameroon cultural imaginary. Focusing on the current need for the humanities to effectively respond to environmental challenges, the book foregrounds an environmental poetic vision that can be an ideal starting point for influencing and changing thought and behavioural patterns globally.